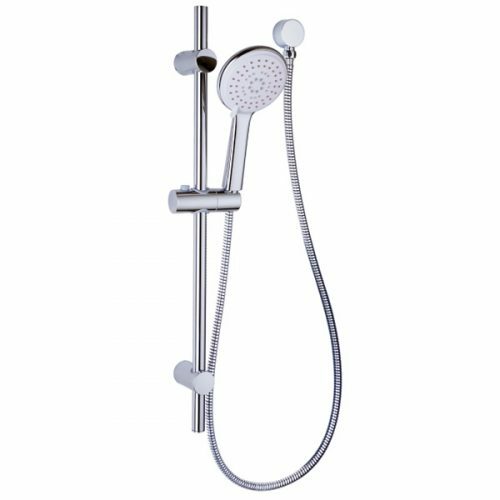 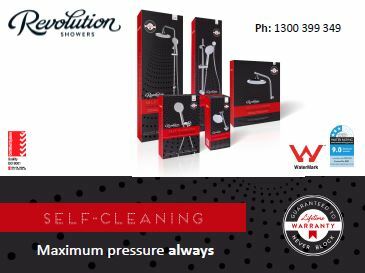 The Revolutionary self-cleaning hand shower delivers a continuous pressure spray coverage that will never weaken due to the build-up of limescale. 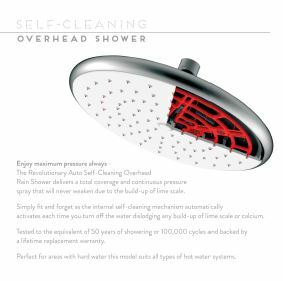 Tested to the equivalent of 50 years of showering or 100,000 cycles and back by a lifetime replacement warranty. 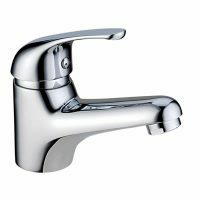 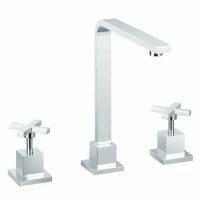 Perfect for areas with hard water this model suits all types of hot water systems.